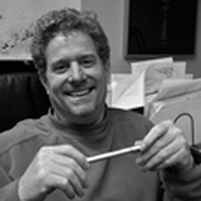 The late Daryl S. Rantis (1961-2014) designed environmentally conscious buildings for nearly three decades. His guiding principle was to create dwellings that lifted the human spirit. Committed to thoughtful details and energy efficiency, his designs responded to site, context, region and climate, all with beauty in mind. Rantis was a member of Congress for the New Urbanism. A portfolio of his work is available on his website, www.rantisarchitect.com. Also, see his work on Houzz, www.houzz.com.